Become a member! 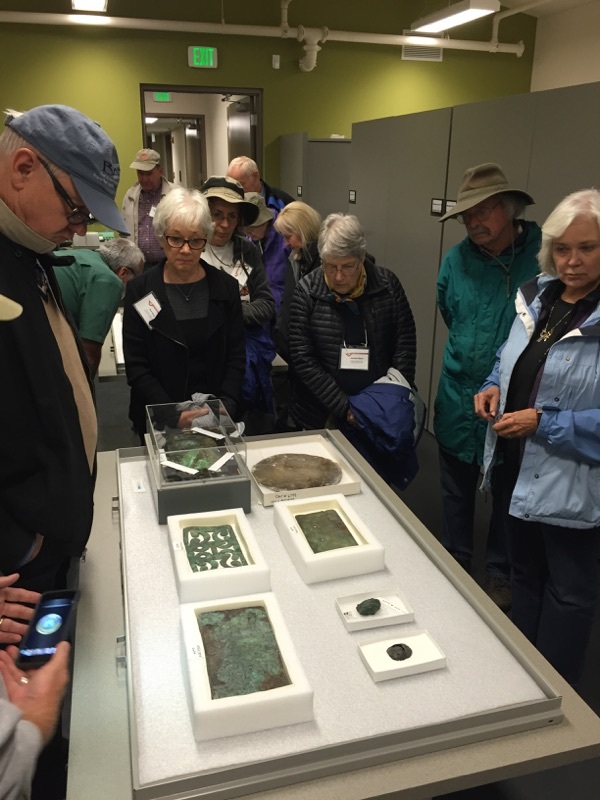 Over 23,000 people from across the country, and beyond, demonstrate their concern for America’s heritage through their membership with The Archaeological Conservancy, the only national non-profit organization preserving endangered archaeological sites. 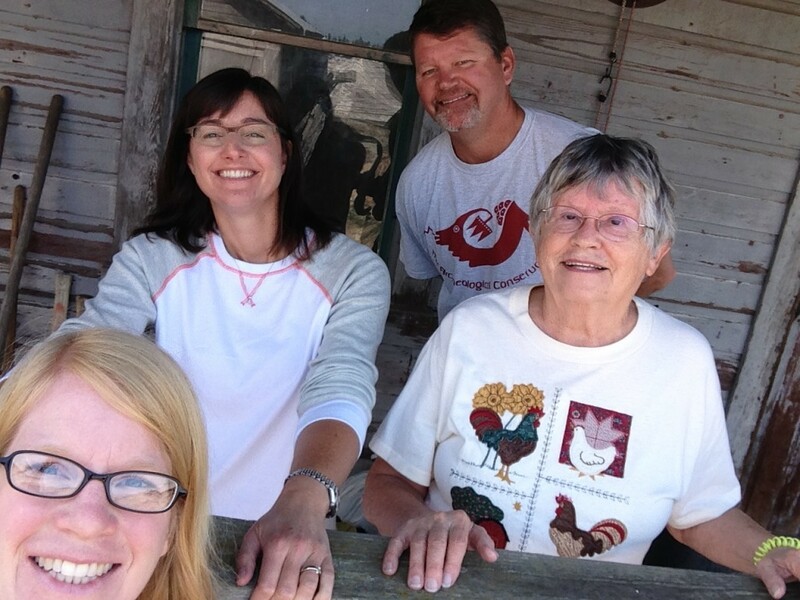 They’re helping us make a real difference in the race to save America’s cultural treasures. And with your membership gift of $30 or more, you can too! With a $30 donation receive an annual subscription to American Archaeology Magazine (4 issues annually), where you can read about all the latest archaeology news, in-depth features, and projects funded by your support. 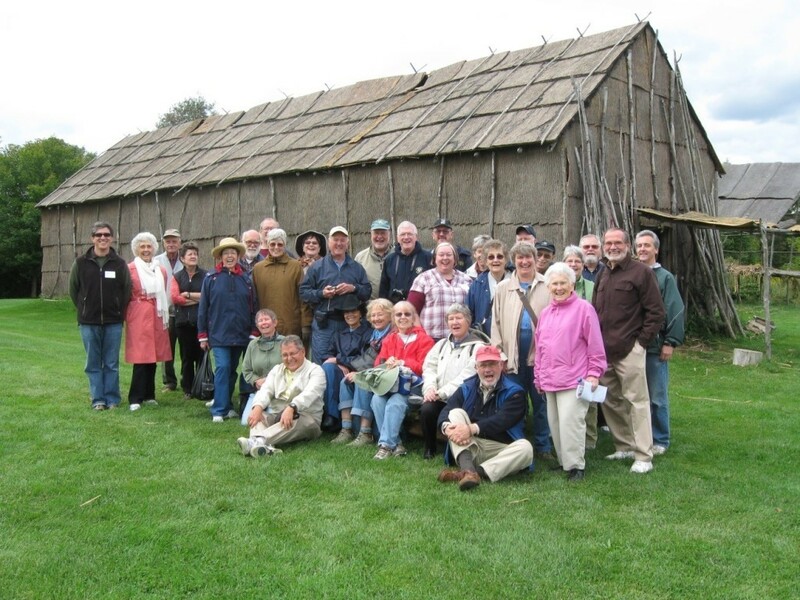 Members also receive the first notification of our popular archaeological adventure tours. Senior/Student memberships are available with a donation of $25. 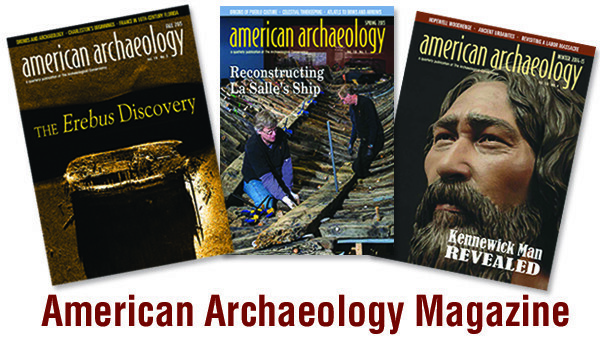 Your membership will automatically renew each year, ensuring that you won’t miss an issue of American Archaeology. You will receive a special end-of-year Thank You gift annually. You are in charge: set your donation amount and change it at any time. Your own gift copy of Ancient Ruins of the Southwest by David Grant Noble. 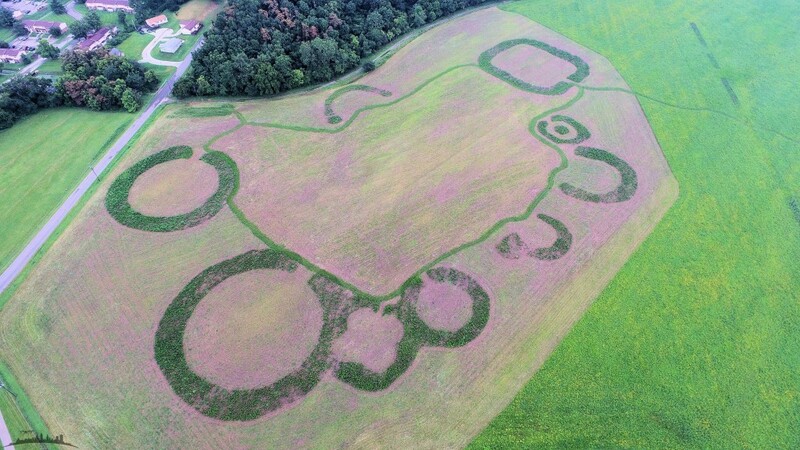 An invitation to the Anasazi Circle Seminar Weekend:For example in 2015 Members of the Anasazi Circle were invited to a special weekend get-together focusing on archaeology of the Hopewell culture in Ohio. The seminar includes meals and accommodations for two. An Anasazi Circle certificate, and recognition in the Conservancy’s magazine, American Archaeology. A 10% discount on all Conservancy tours. Whatever option you use Your Support Makes A Difference. We welcome your support, whether one time or annual. If you aren’t interested in receiving member benefits and want to support our mission, just let us know when you donate. That way we will apply your entire donation toward important and critical Conservancy Projects. For more Information about Membership contact Lorna at lorna.tac@gmail.com or call us at 505-266-1540 . 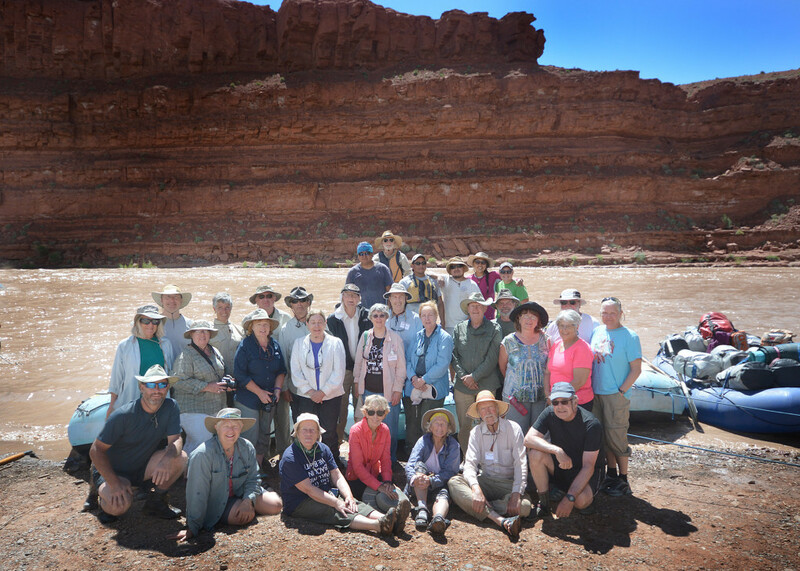 2015 San Juan River Trip – Happy Campers! 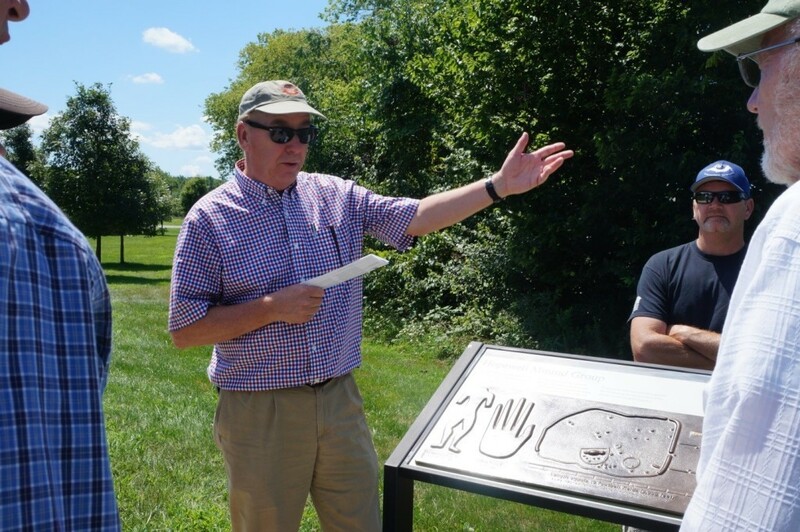 TAC CEO Mark Michel recounts the saga of The Hopewell site’s preservation in front on an NPS interpretive sign at the site. Photo Bliss Bruen/The Archaeological Conservancy. 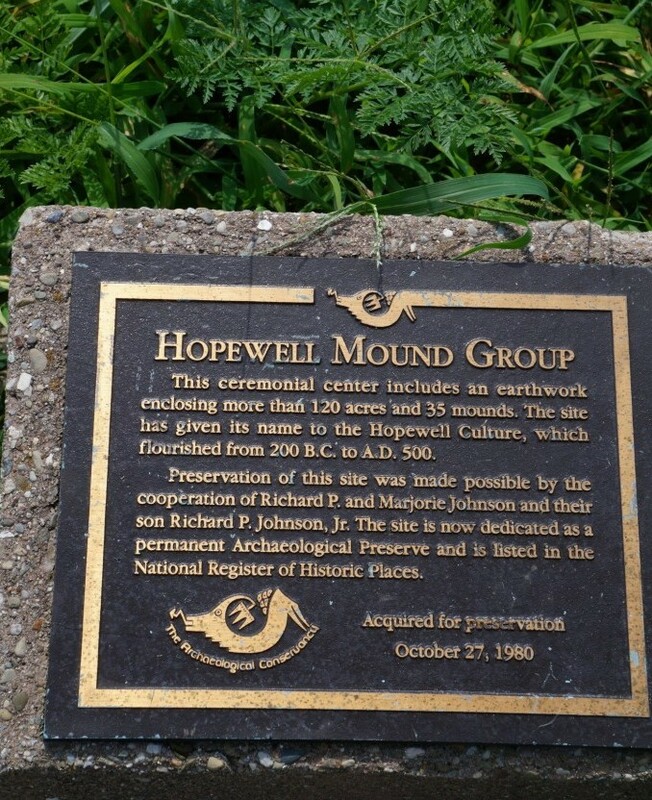 The Conservancy’s memorial plaque still present at the Hopewell site. Photo Bliss Bruen/ The Archaeological Conservancy. Make your mark in time! 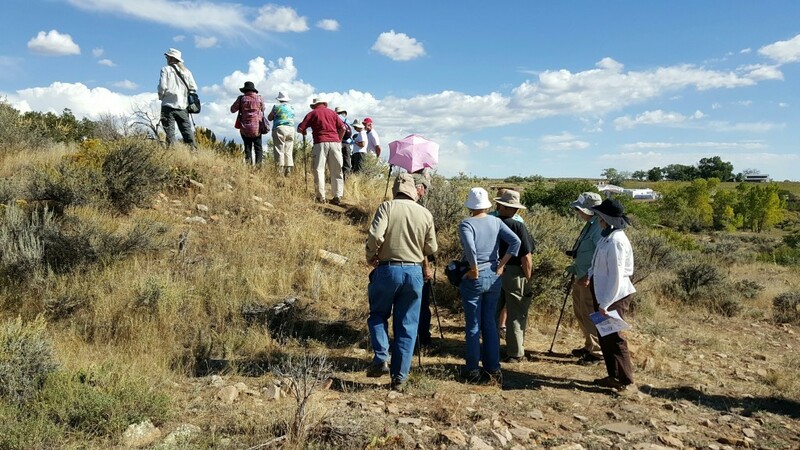 Some conservancy members think the only way to help save archaeological sites is through membership dues. 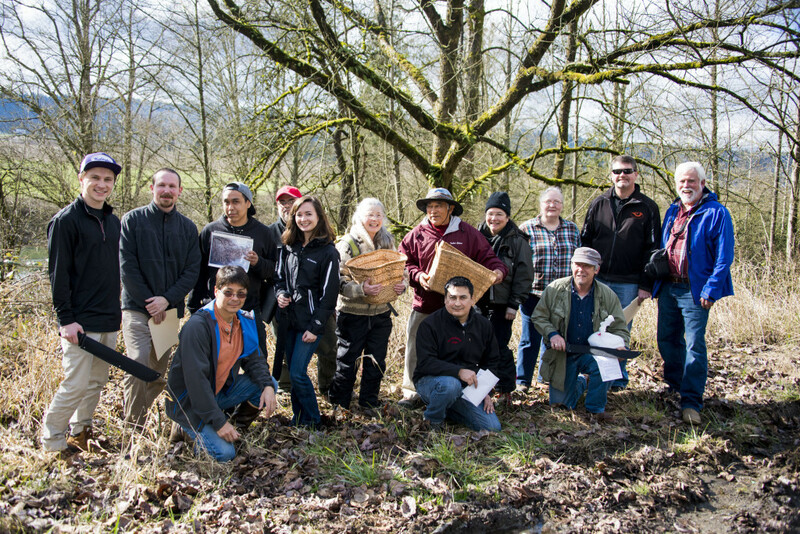 While dues are a constant lifeline, there are many ways you can support the Conservancy’s work, both today and well into the future. And by supporting the Conservancy, you not only safeguard our past for your children and grandchildren, you may also save some money. 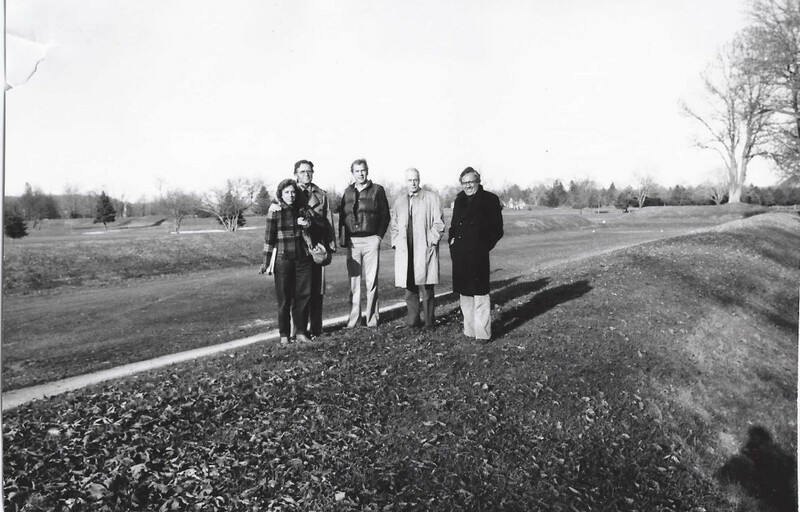 Each Year the Conservancy receives substantial support through bequests, annual planned giving and gifts of securities. For more Information about our planned giving program call us at 505-266-1540 or email Sarah at saraht.tac@gmail.com . 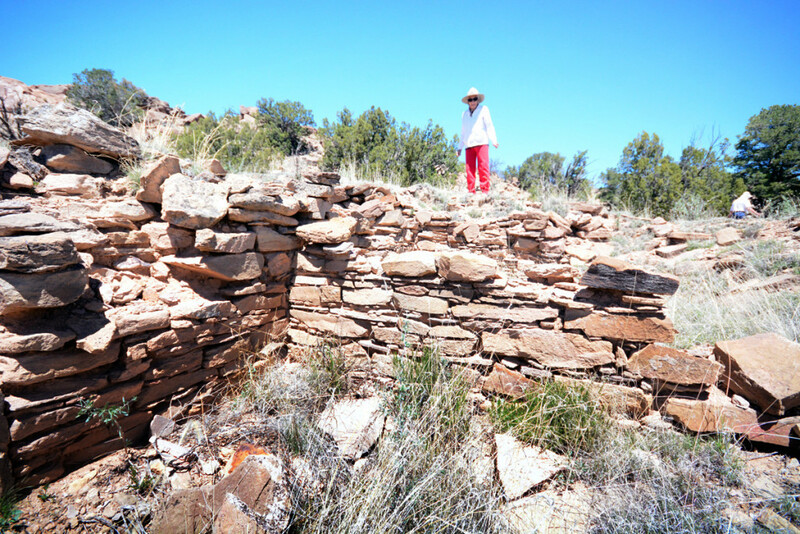 Virgina Davis touring standing stonework the Davis Ranch with TAC. Photo Chaz Evans/The Archaeological Conservancy. 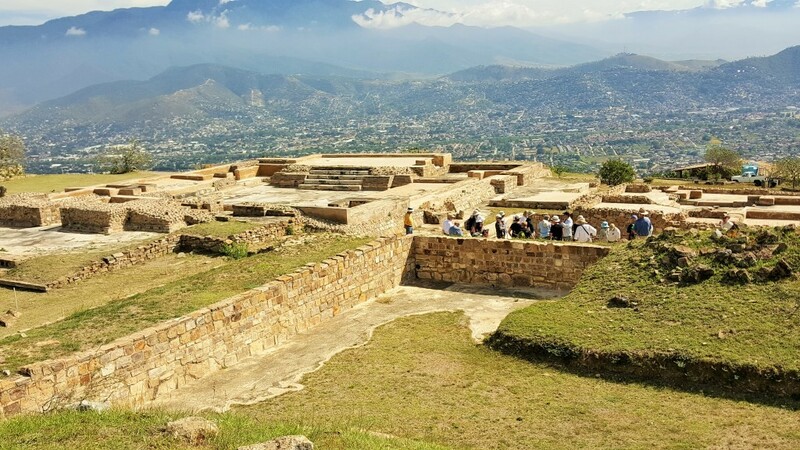 Azompa, Oaxaca City in the background. 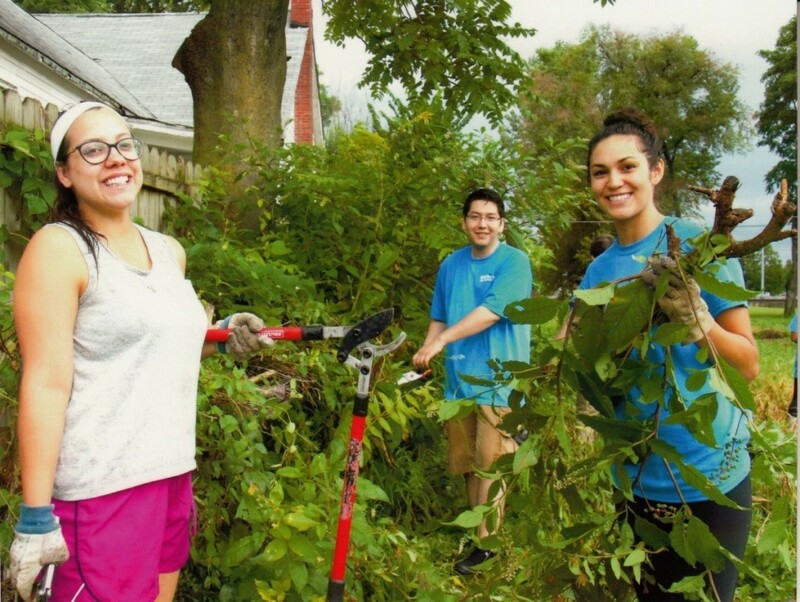 Washington University in St. Louis Kathryn M. Bruder Scholars clearing our fence line. 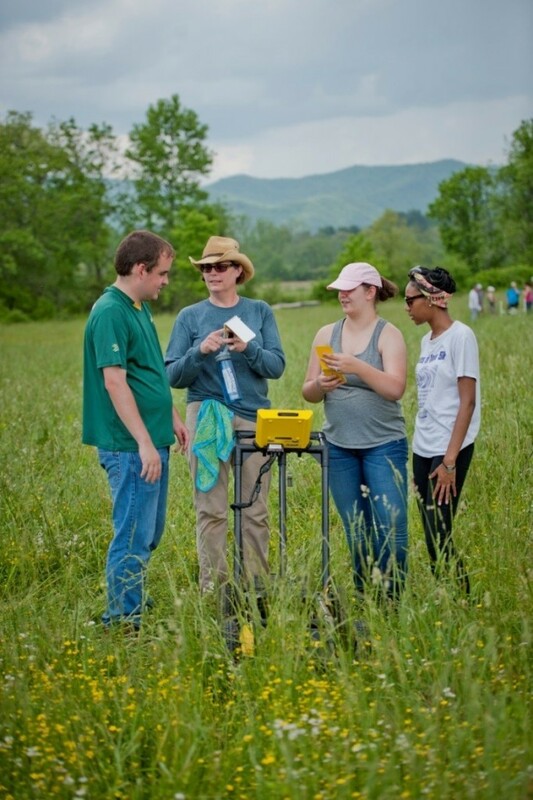 Jane Eastman and students conducting a ground-penetrating radar survey.